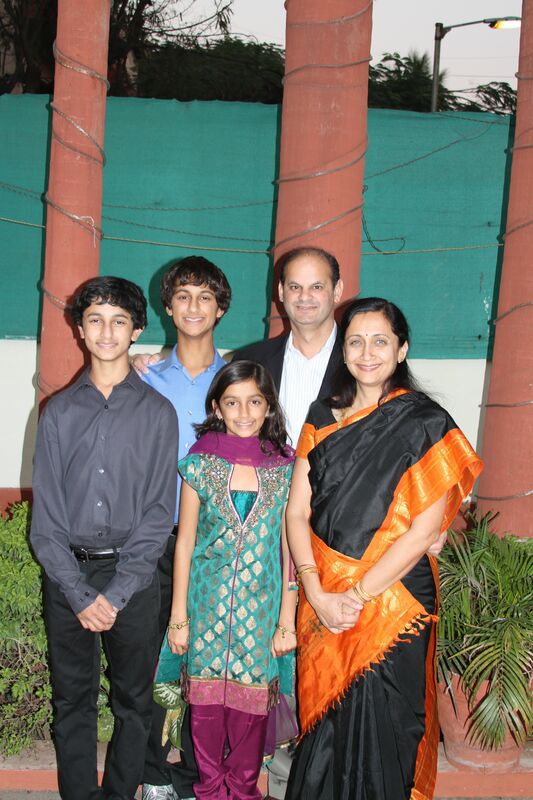 We went to India over the Christmas break to visit Anjali’s parents in Pune and my extended family in Nagpur. 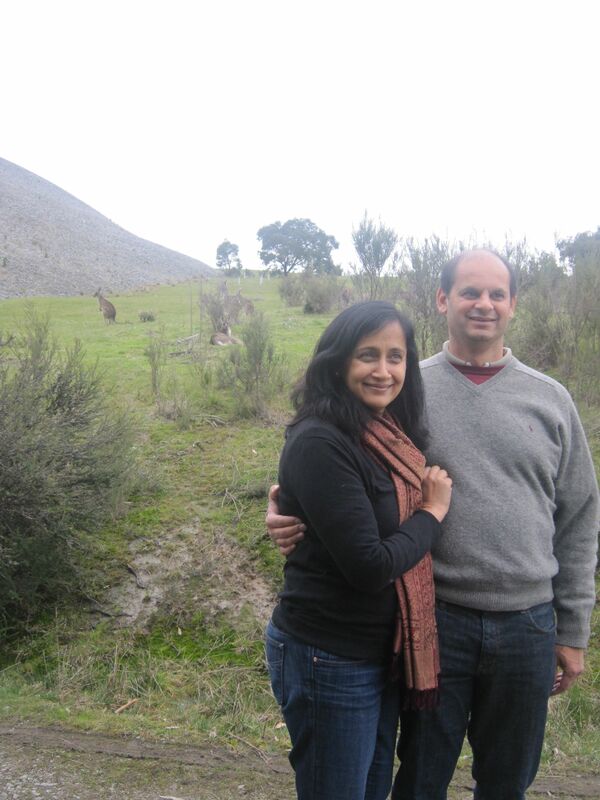 Anjali’s parents had their 50th anniversary. 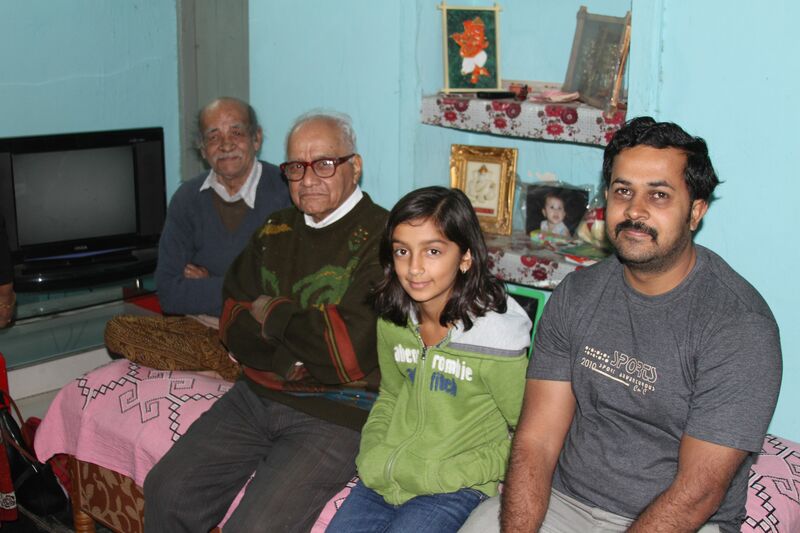 Here is Anjali with her parents in the middle and her brother on the right. In the front and back row are her cousins. 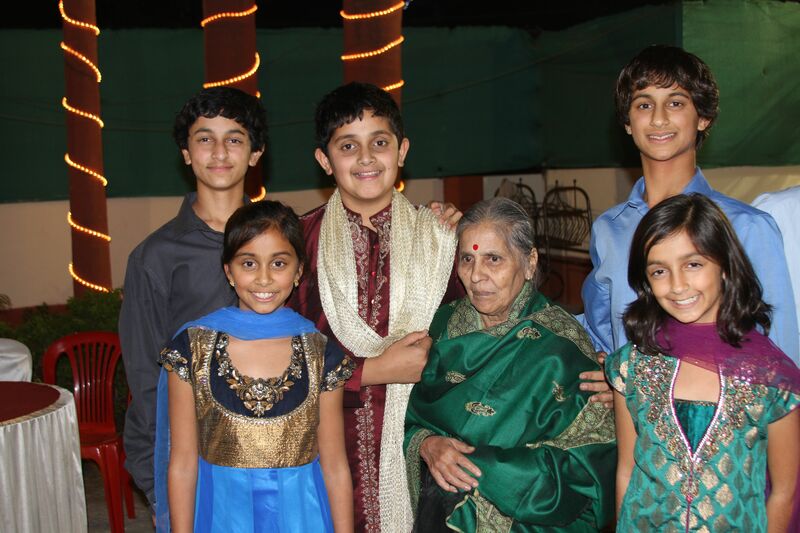 Here are the kids with their Great Grandmother! 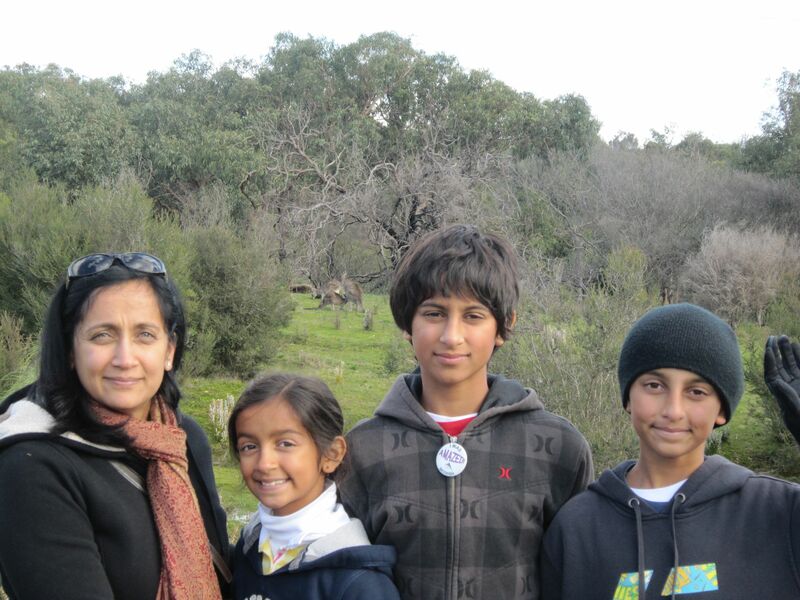 Here are the five of us. 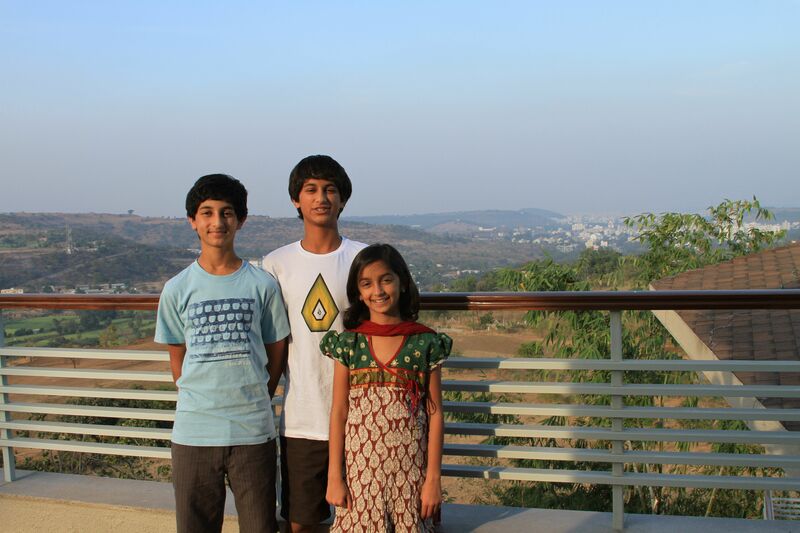 Here are the kids at Anjali’s uncle’s vacation house outside of Pune. 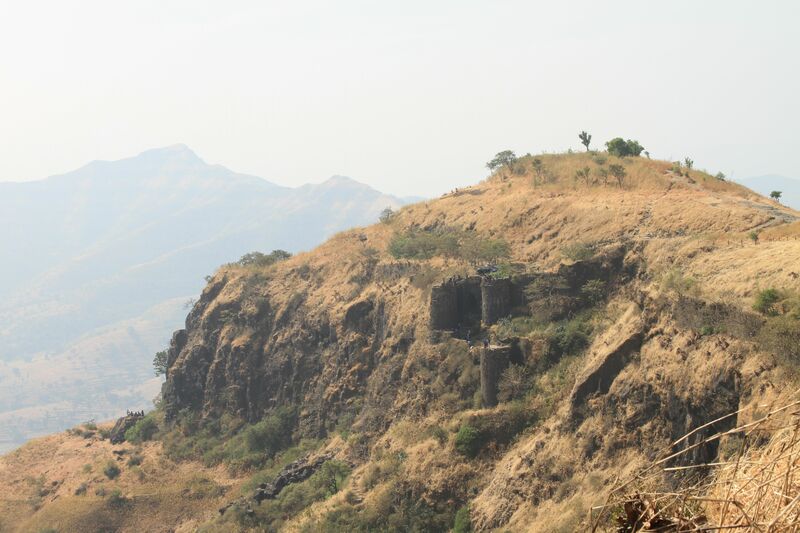 One of the days we went to Sinhagad, a fort from the 1600’s with quite a colorful history. 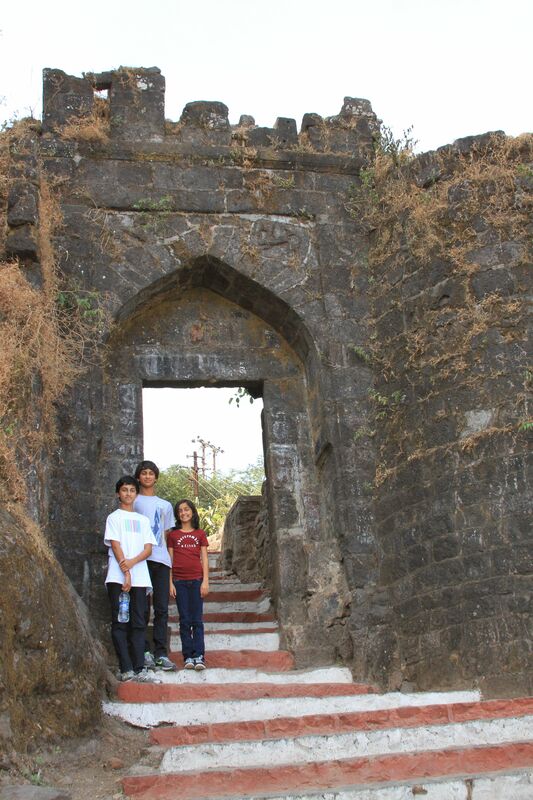 Here are the kids at the entrance to the fort. Here is the view from inside the protected walls of the fort. 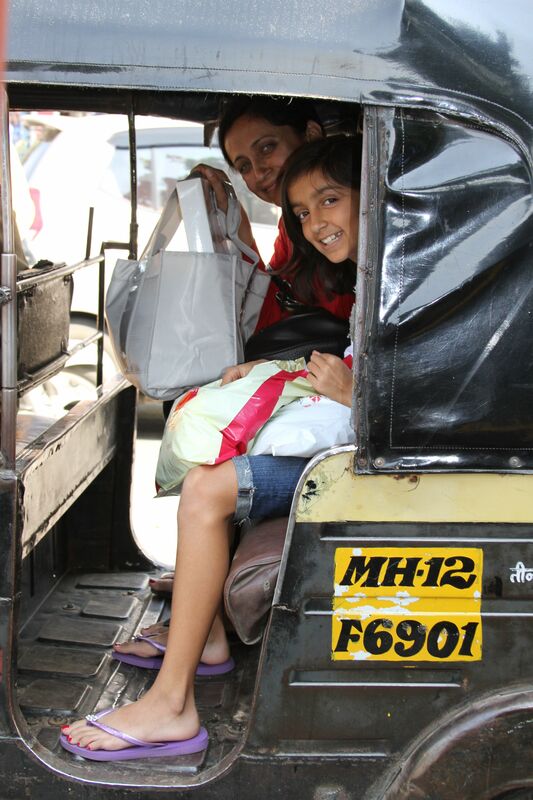 On most days, we did our shopping trips and visits in a scooter rickshaw. 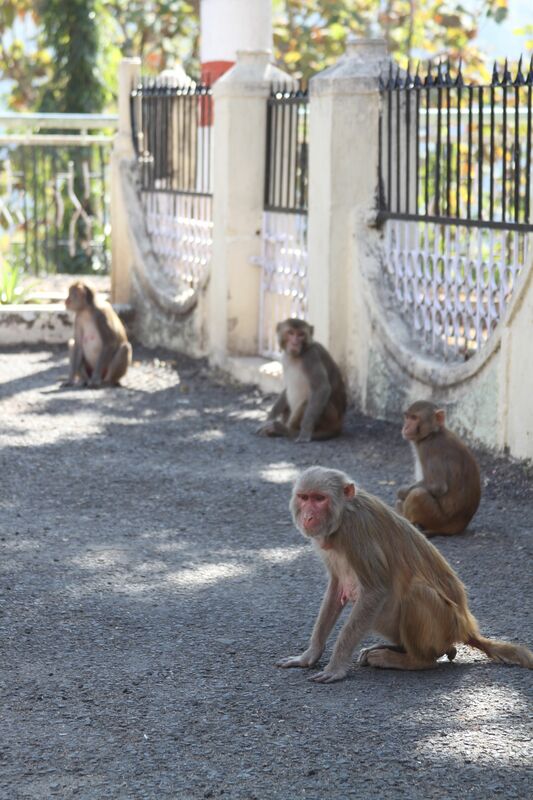 We did a side trip to Nagpur which is about a two hour flight from Pune. 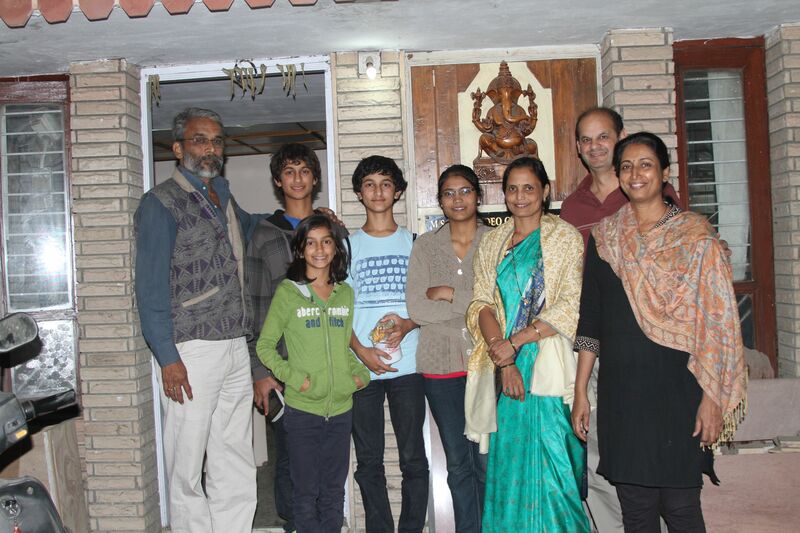 We visited my uncles and cousins there. 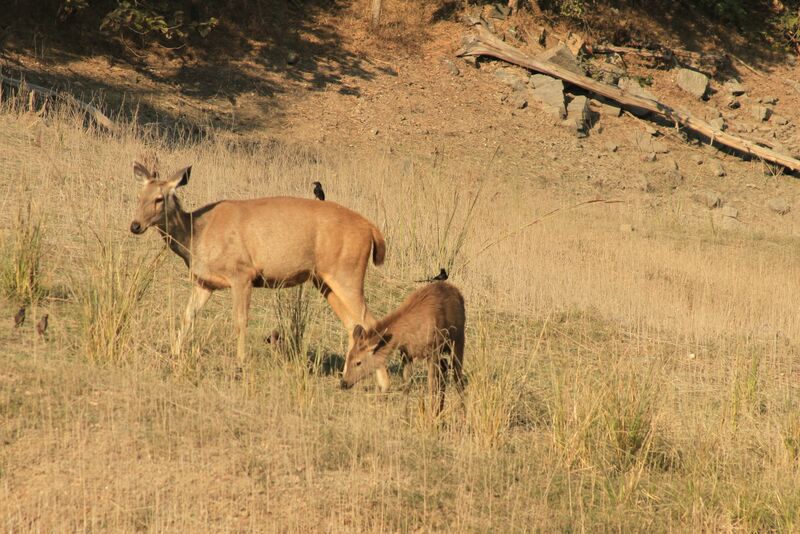 My cousin Shirish (on the left in the photo above) took us to a wildlife sanctuary outside of Pune. 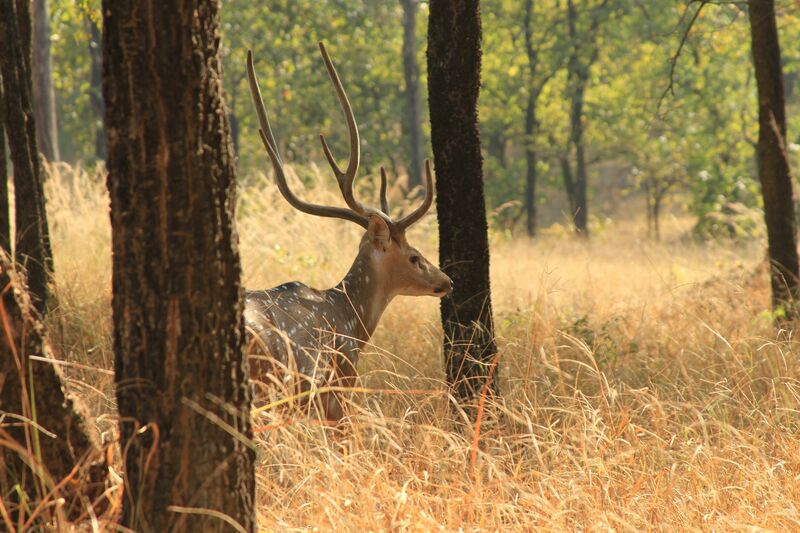 Here are some pictures from the Pench Tiger Sanctuary. Unfortunately, we didn’t see any tigers but lots of other big game including sambars, horned deer, antelopes and all kinds of monkeys! 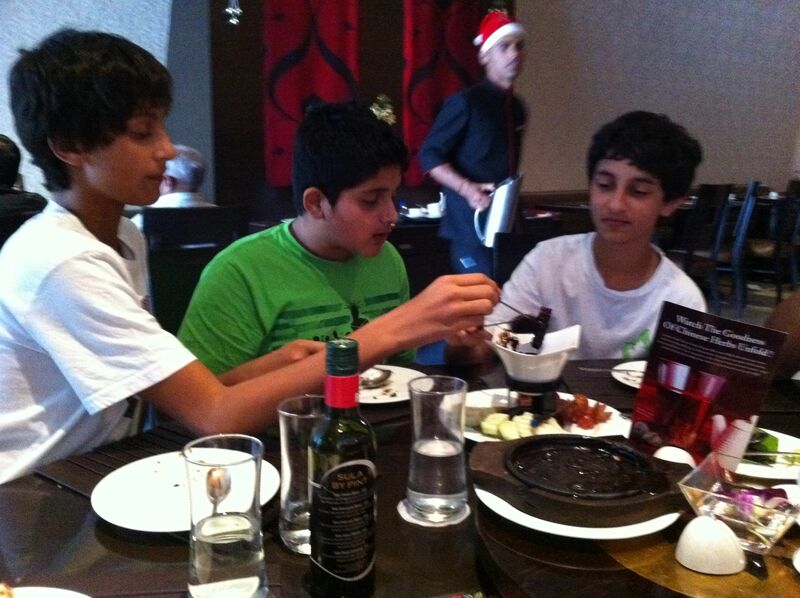 On Christmas Day, we went out for Chinese food at Mainland China in Pune. Probably the best Chinese food in India! 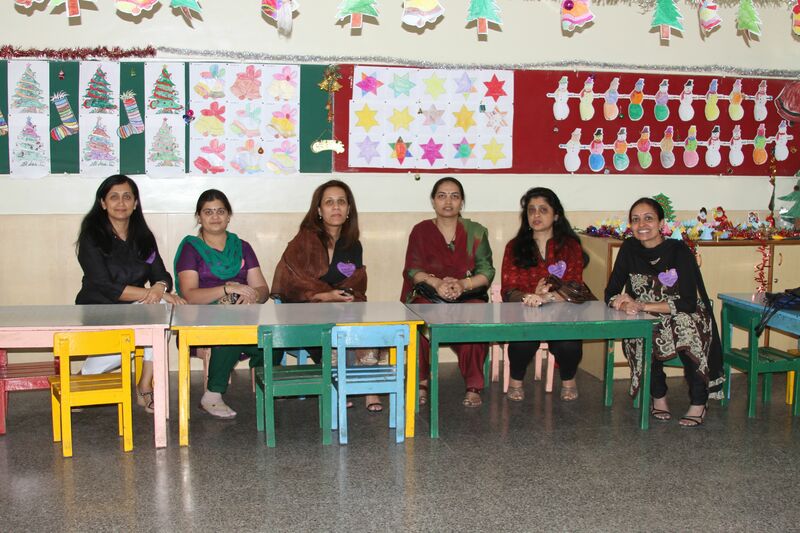 Christmas Day in India is like any other day there. 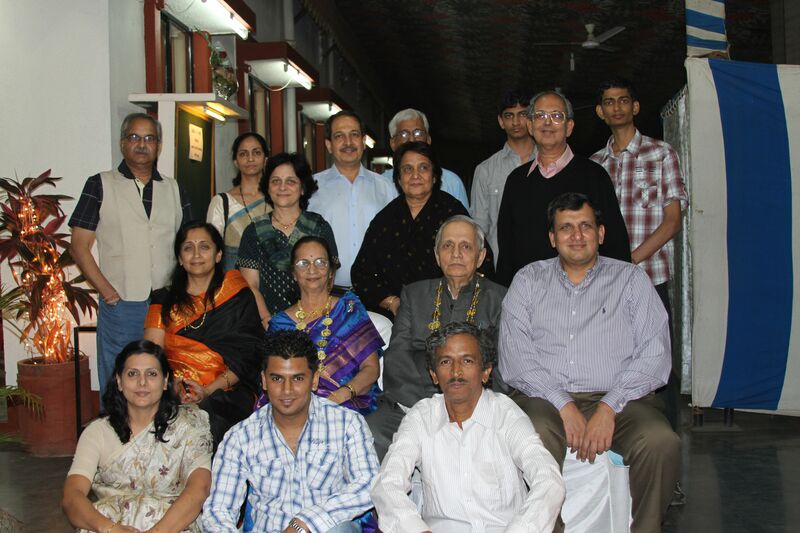 On our last day in Pune, Anjali was lucky enough to catch her 30th year high school reunion at St. Joseph’s. Here she is with her friends. 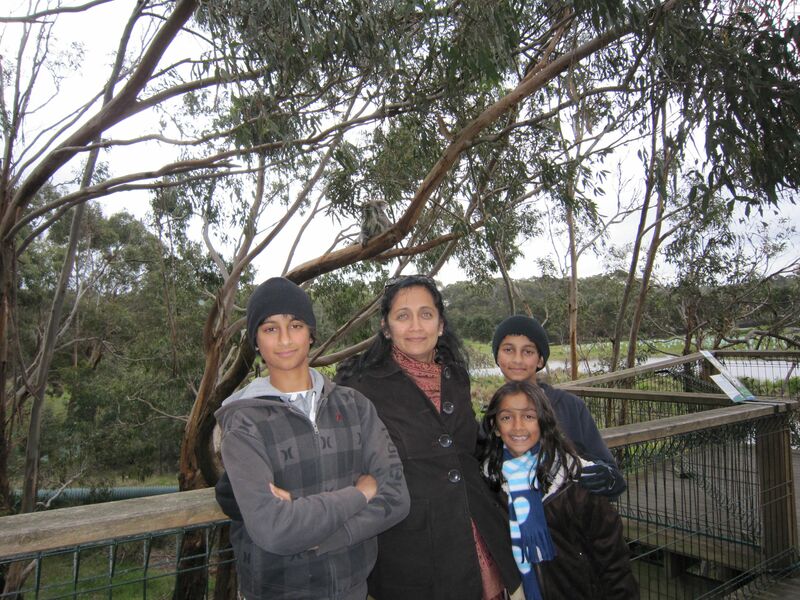 On our last full day in Australia, we drove down to Phillip Island and visited the Koala Reserve and the Penguin Parade. 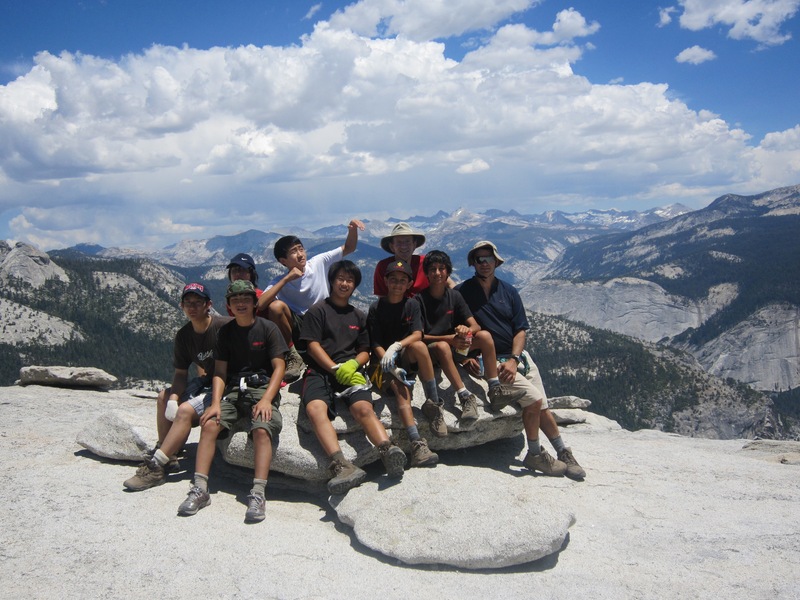 Here is one of about 20 we saw that day. Most of the time they are sleeping to conserve energy. 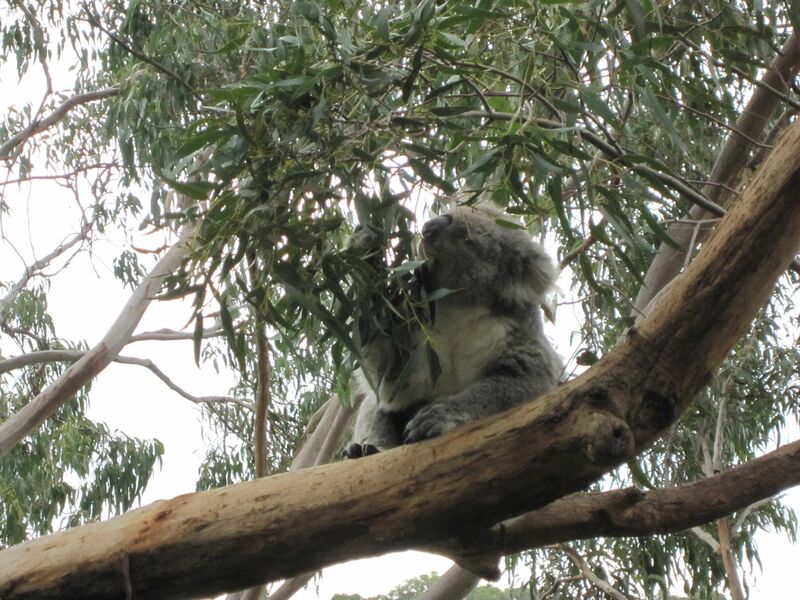 All they eat are eucalyptus leaves. 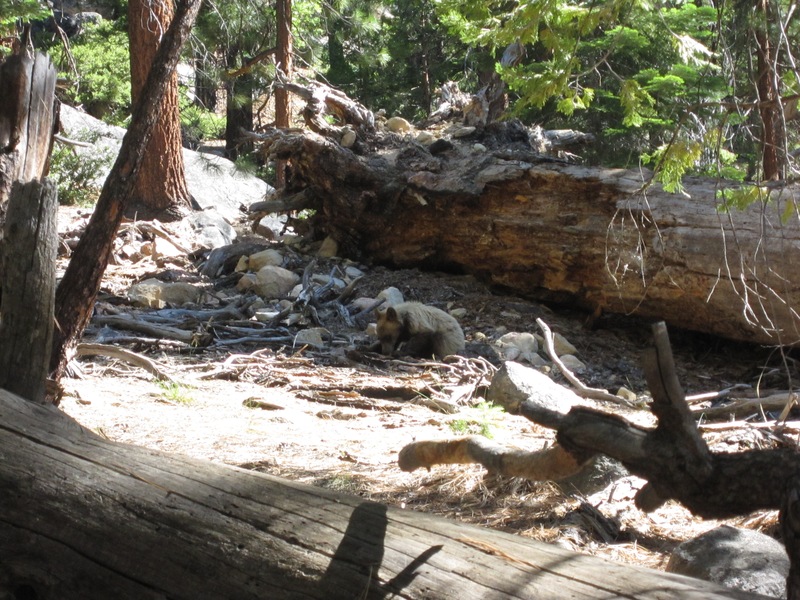 We were lucky enough to see one moving around. We also saw the penguin parade, but no pictures were allowed. 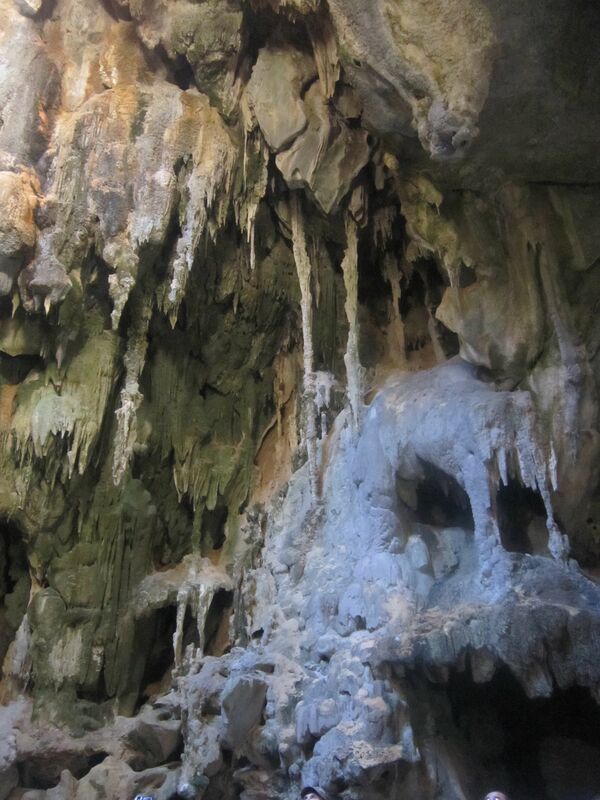 This attraction is well worth the drive to see the penguins swim to shore. 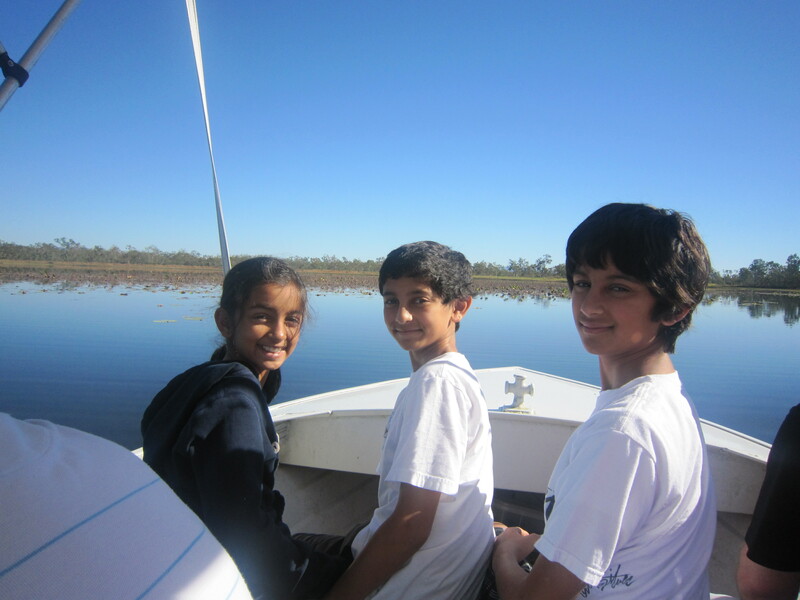 The day after the Reef adventure, we went on a safari trip deep into the Australian Outback. 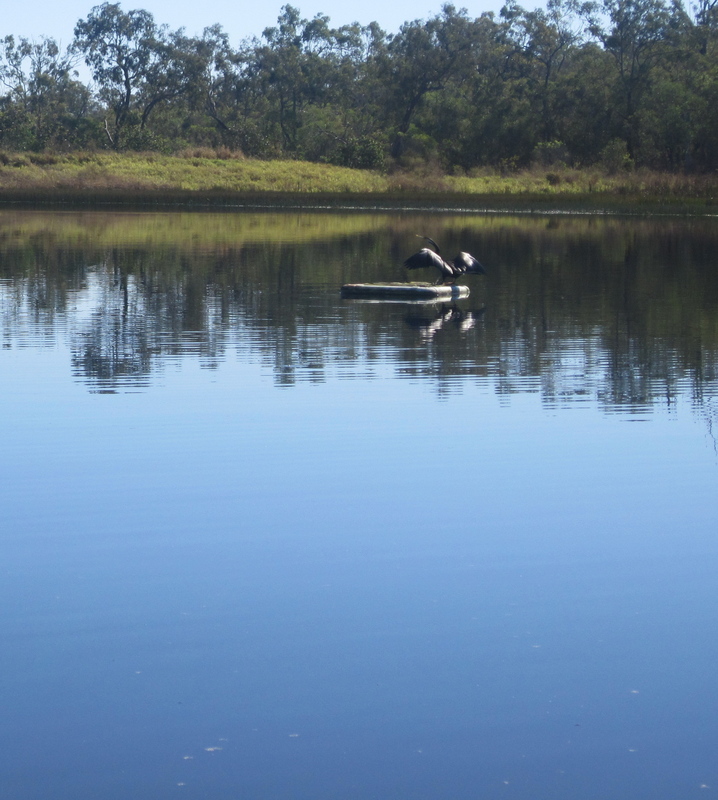 Our first stop was a lake and nature preserve. 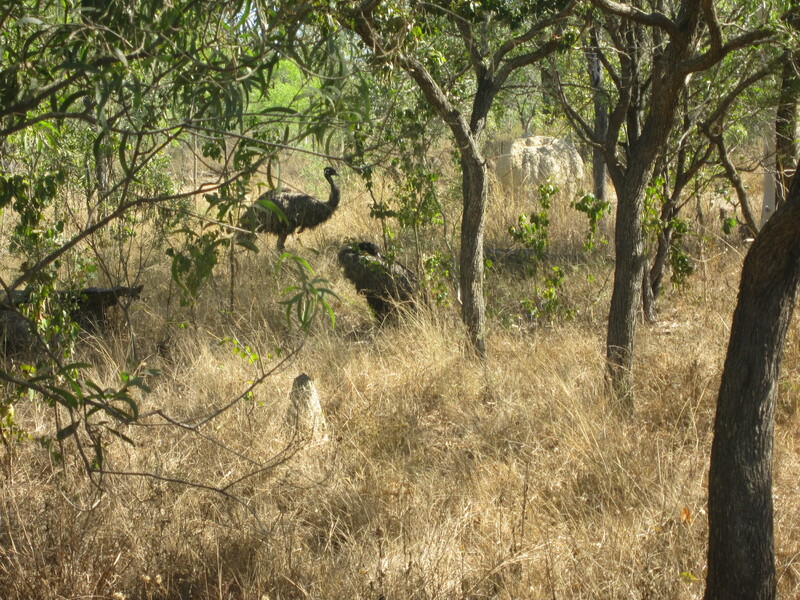 Here is a picture of some emus standing by the side of the trail. 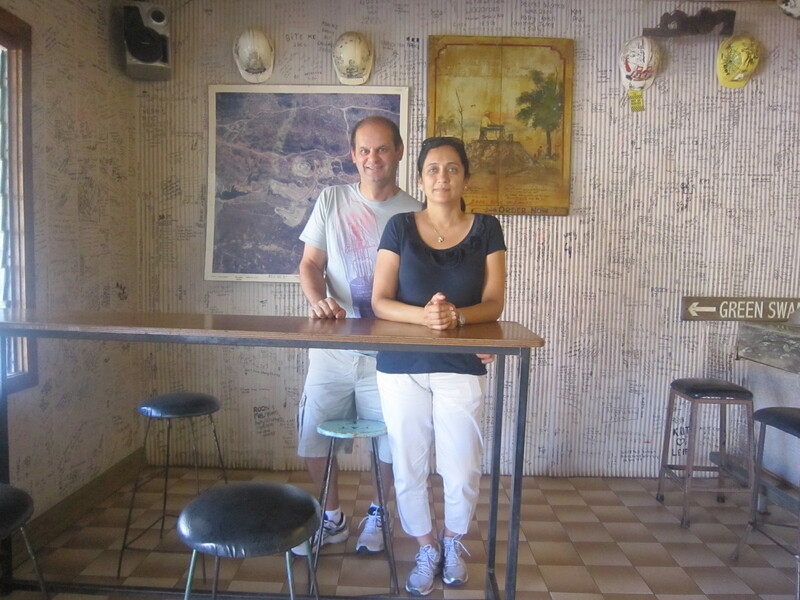 We stopped for lunch at an old mining town – mostly abandoned now. 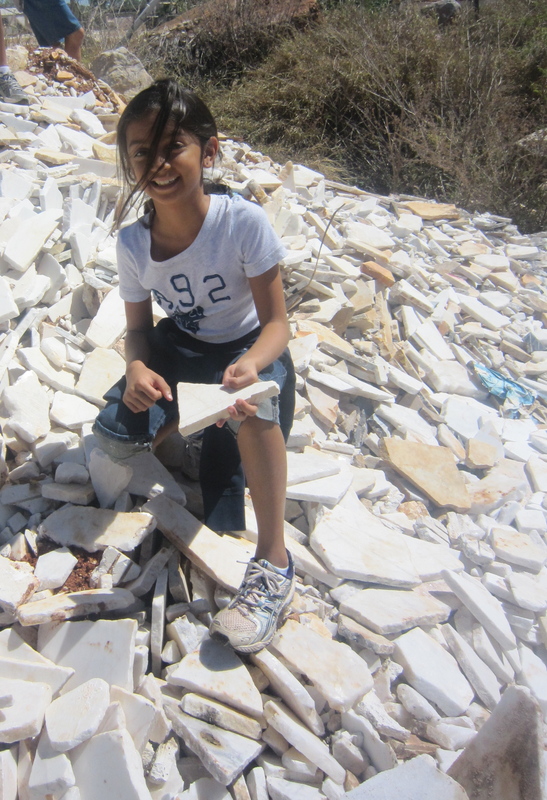 The kids got to scavenge at an old marble quarry. 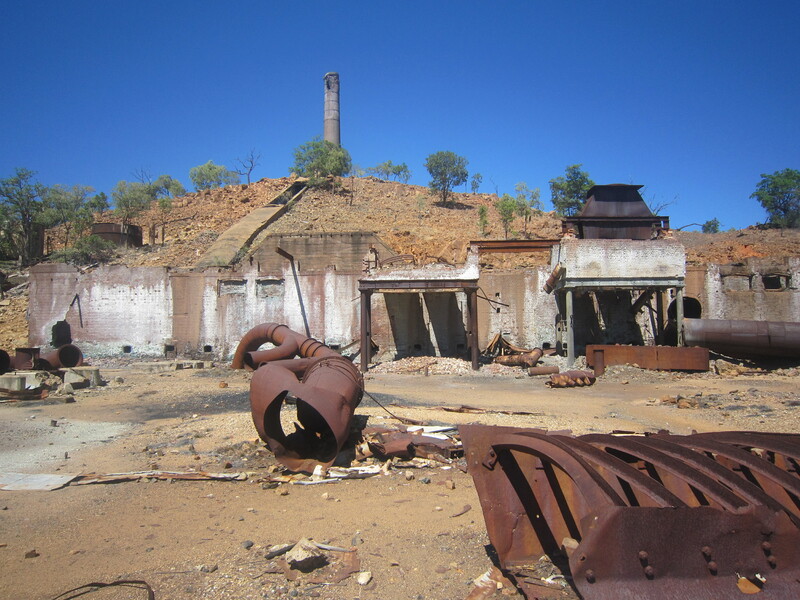 In the same area called Chillagoe, there was also an abandoned old ore and gold mine. 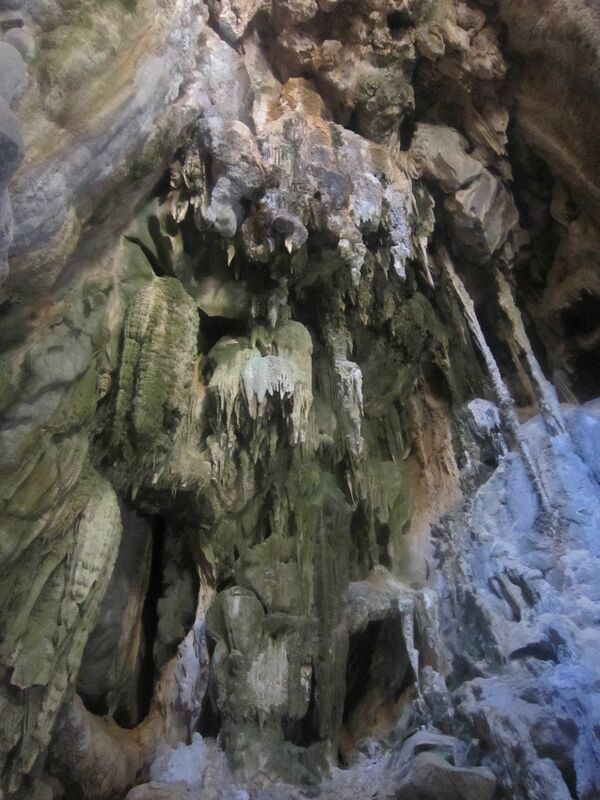 The highlight was the tour of an underground cavern filled with stalagmites (these grow from the floor – and might grow up) and stalactites (these drop from the roof – and have to hold on tight). 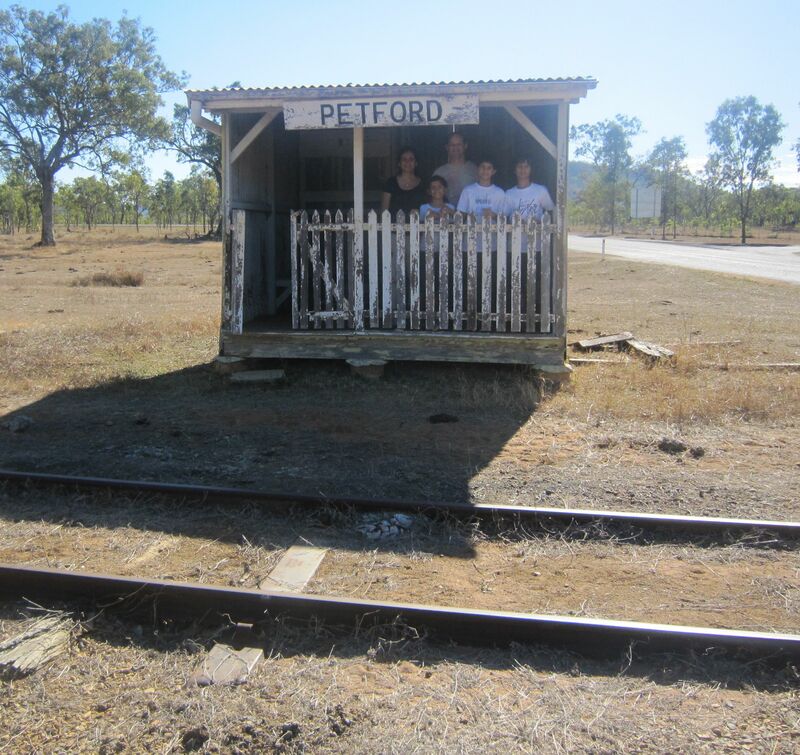 On the ride home, we stopped off at the world’s smallest train station in Petford. 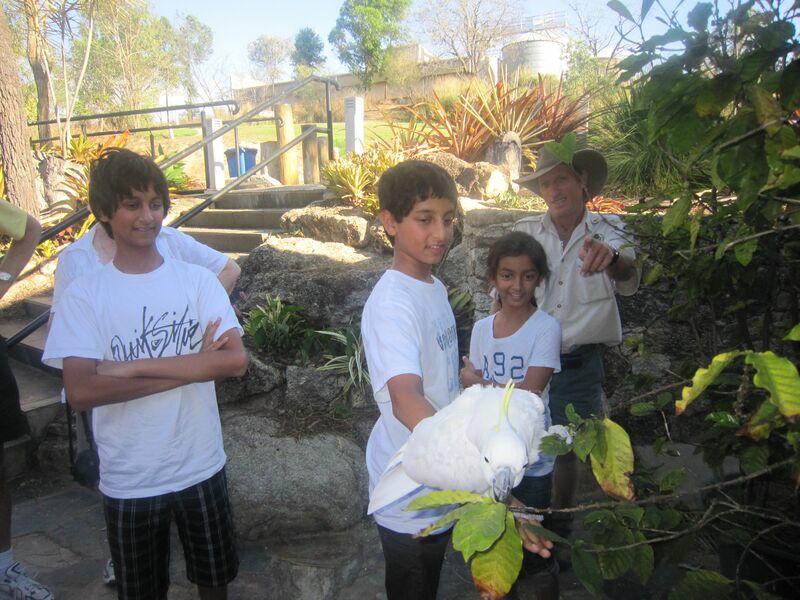 We also stopped off at a coffee plantation and the kids got to play with a cockatoo. 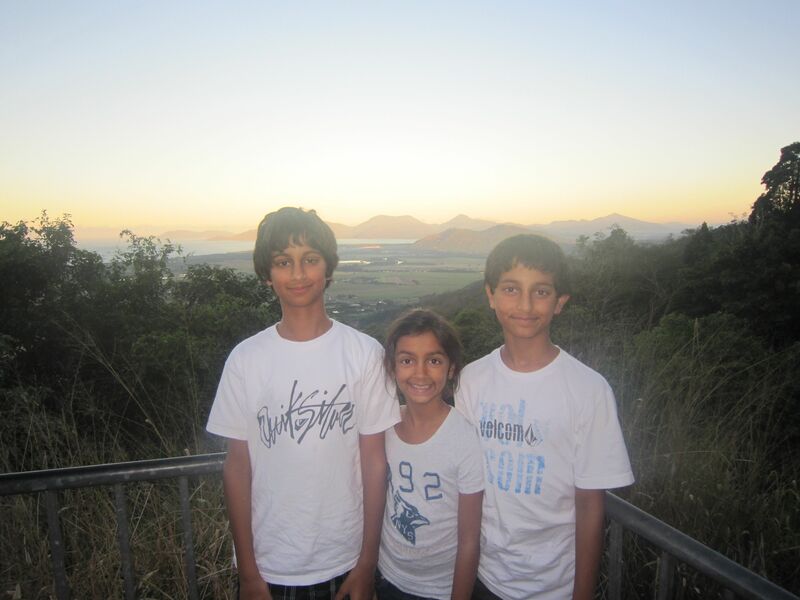 The next stop was Port Douglas and the Sugar Cane factories. 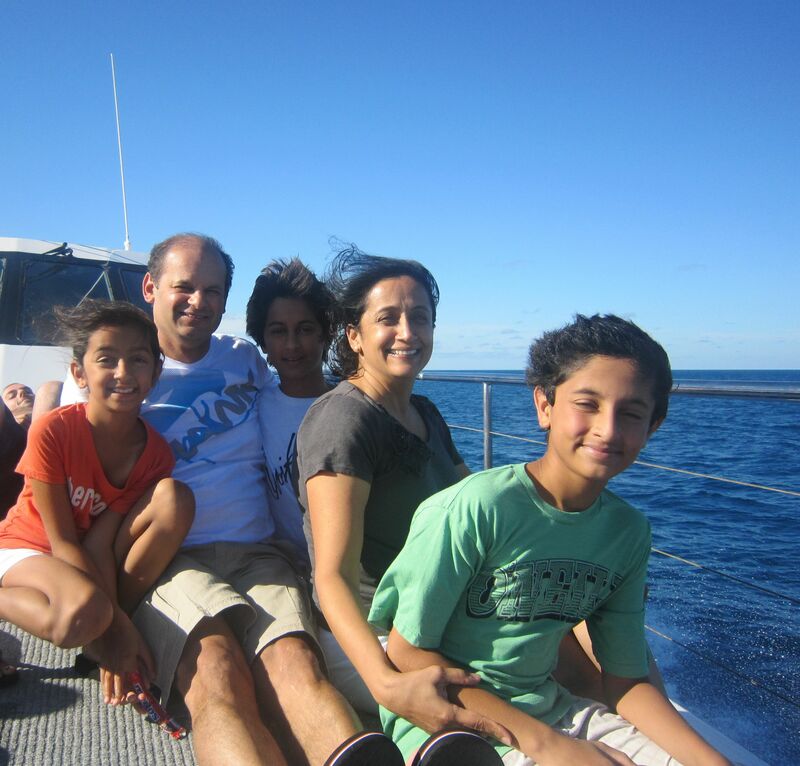 We took a two hour boat ride from the port in Cairns and arrived at the Great Barrier Reef. 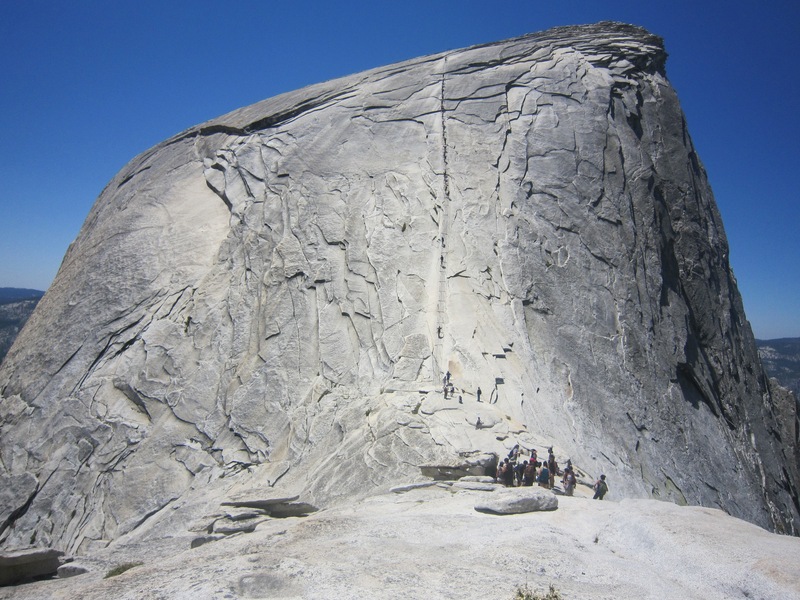 This has been labeled as one of the 7 natural wonders of the world. It is composed of 2900 reefs across 1600 miles on the north eastern coast of Australia. 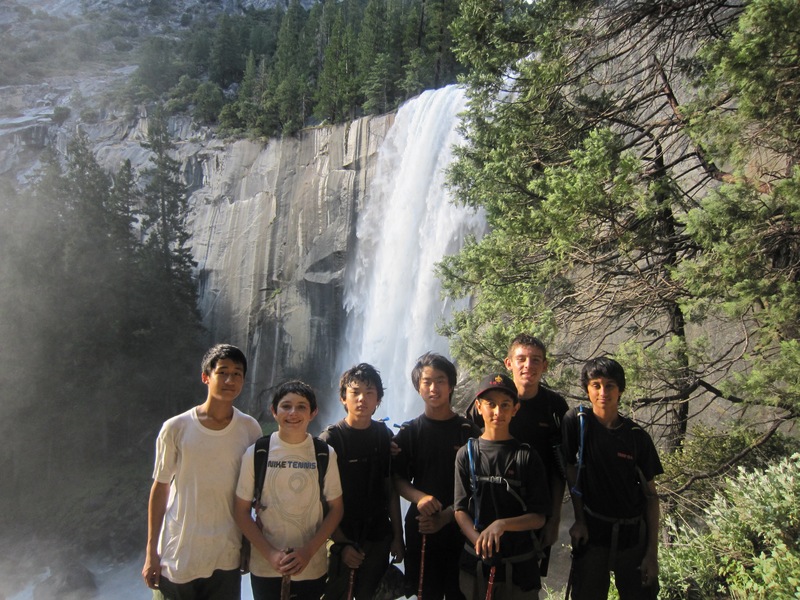 We all started with a snorkel dive. 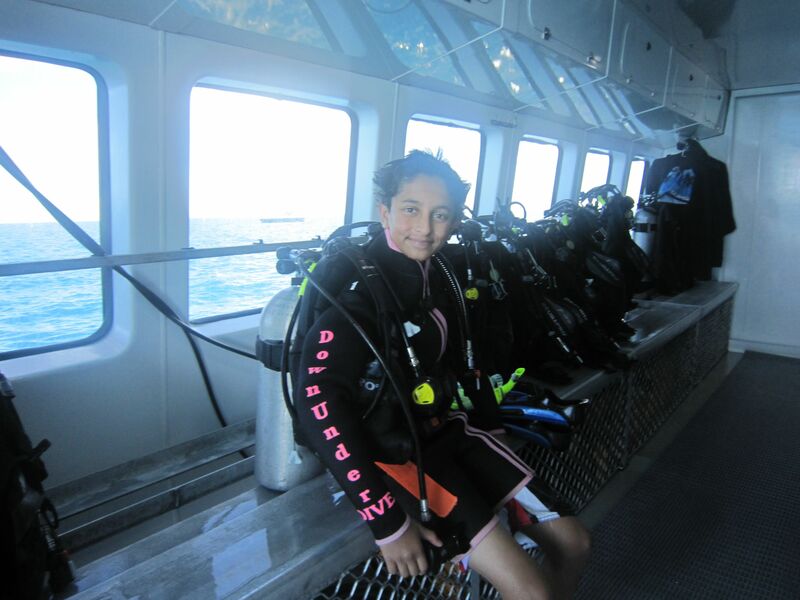 The reef is about 10-15 feet below and the visibility is excellent. 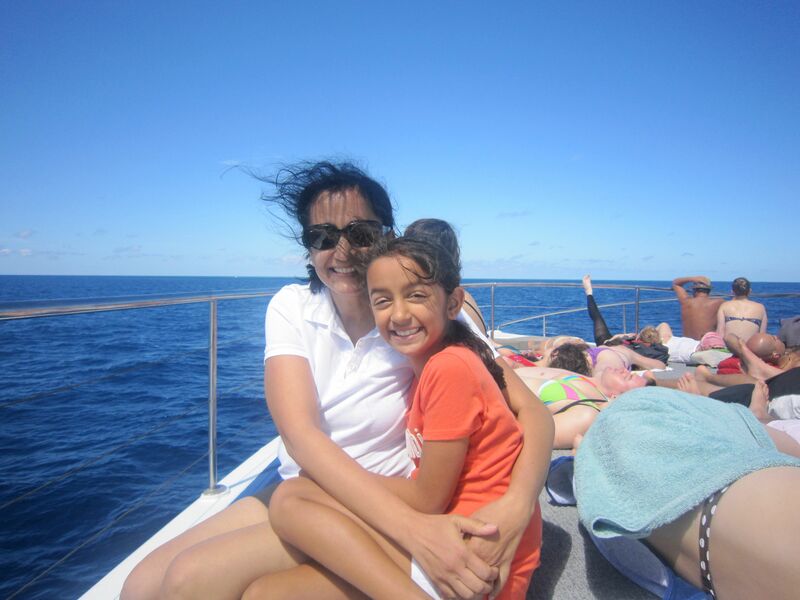 We were at a reef called Norman Reef, one of the outermost reefs which is surrounded by deep water. 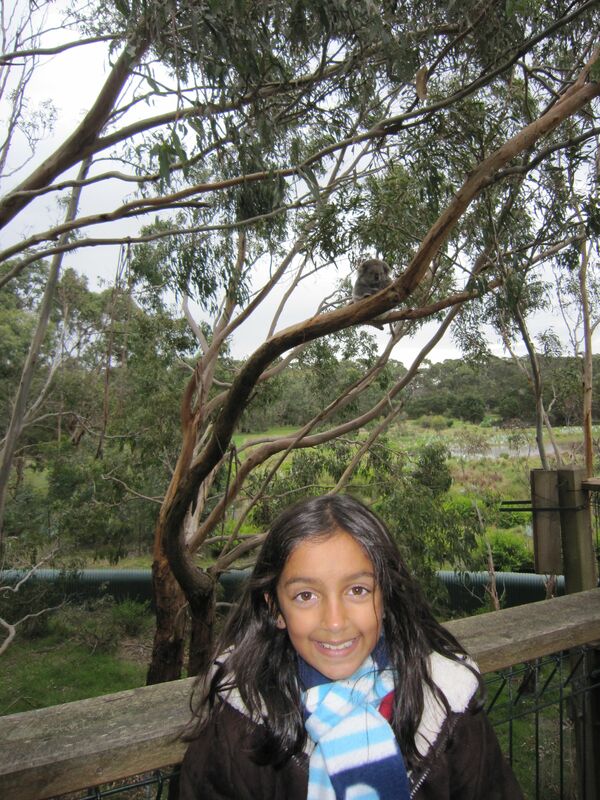 Here is a picture of Annika below. After a short 10 minute snorkeling lesson, she was off on her own. 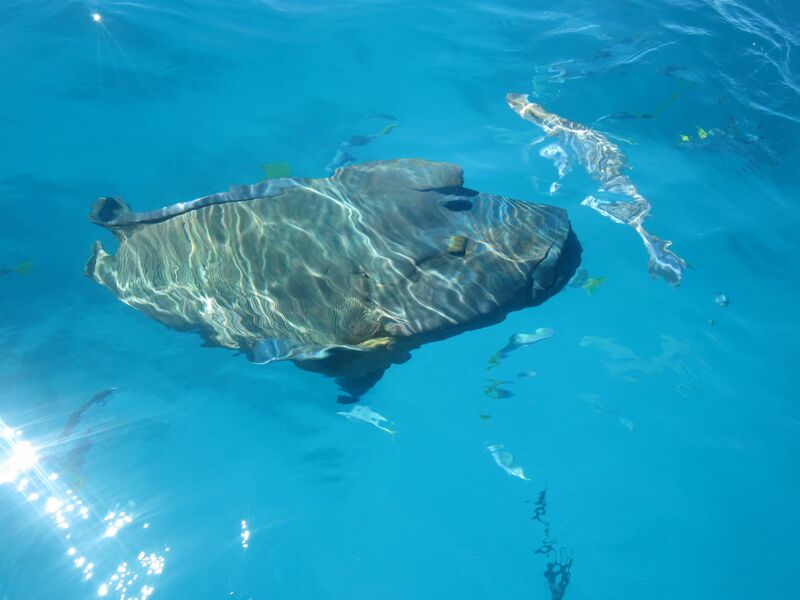 Here is one of a maori wrasse fish I was able to capture that swam up along side us. 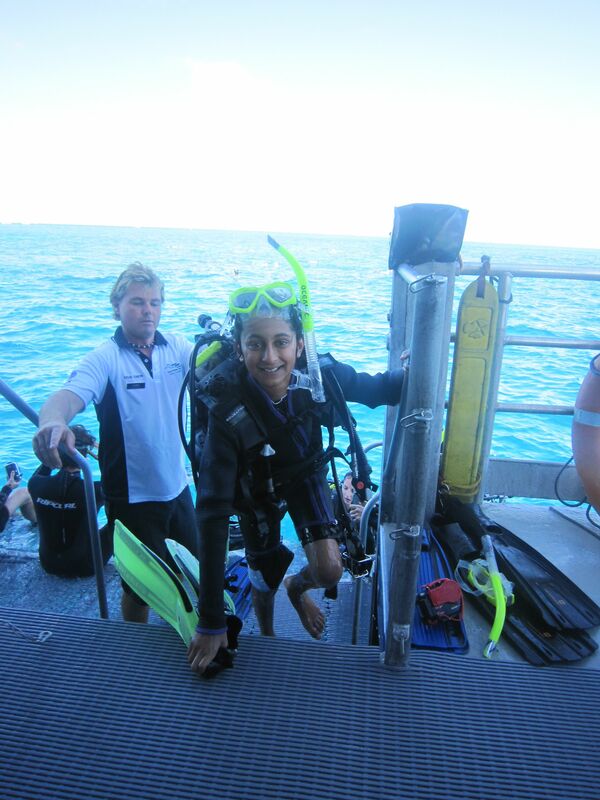 After the snorkeling, me, Nikhil and Vikram went for a couple of scuba dives. 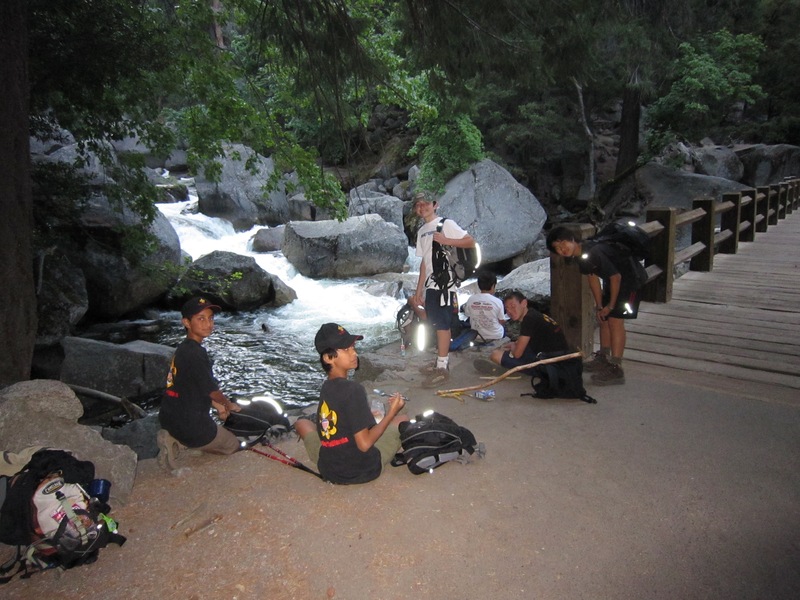 The boys took to the water like fish! 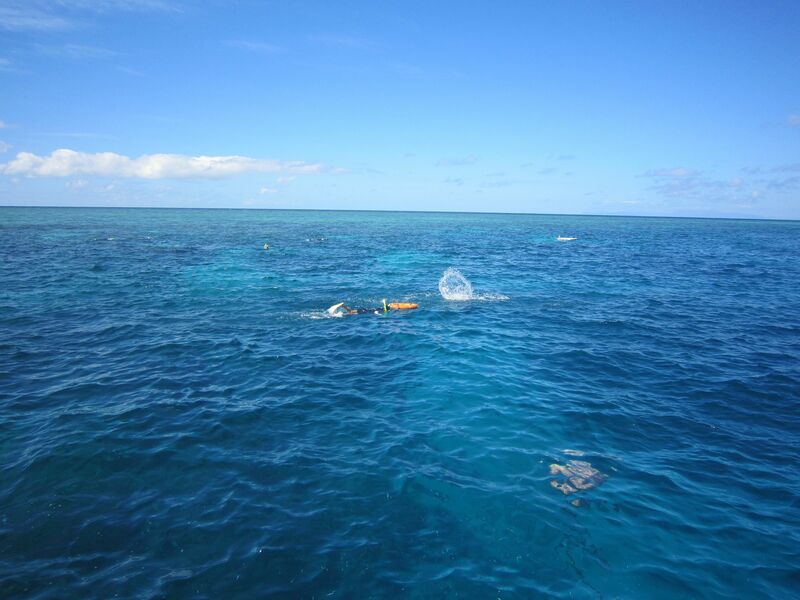 They scuba dived to 12-15m deep which took them to the bottom of the reef. We saw turtles, giant clams, clownfish, an eel, sea cucumber and lots of other fish. We picked a perfect sunny day for our dive. We returned after a full day of snorkeling and diving. 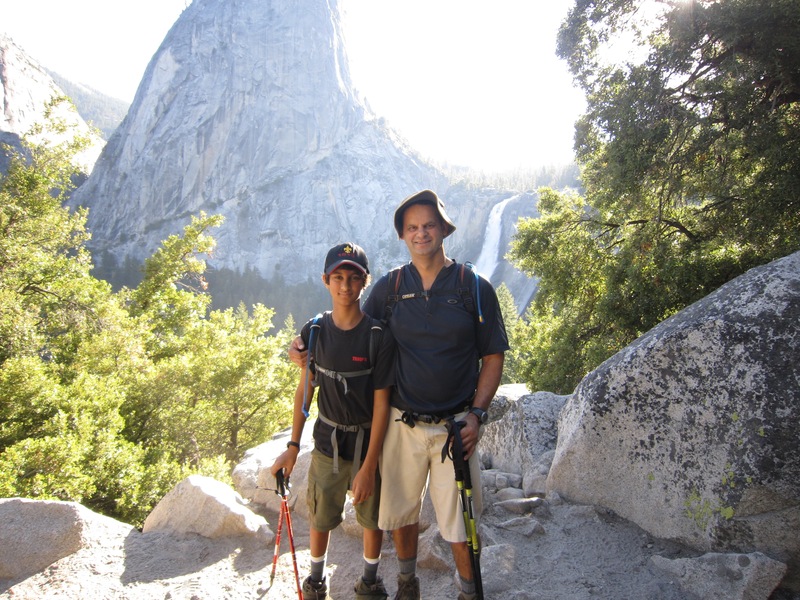 The next day would take us on an adventure into the outback. I arrived in Melbourne and after a day, we flew up to Cairns which is on the northern coast of Australia and is the entry to the Great Barrier Reef. Unfortunately, United Airlines lost my bag. It remained in San Francisco! I finally received it four days into my trip. I had to buy some new clothes but fortunately, the stores are very similar to the states – Target, Costco, etc.! Their allowance for lost baggage is a measly $50 US which doesn’t go too far in Melbourne. 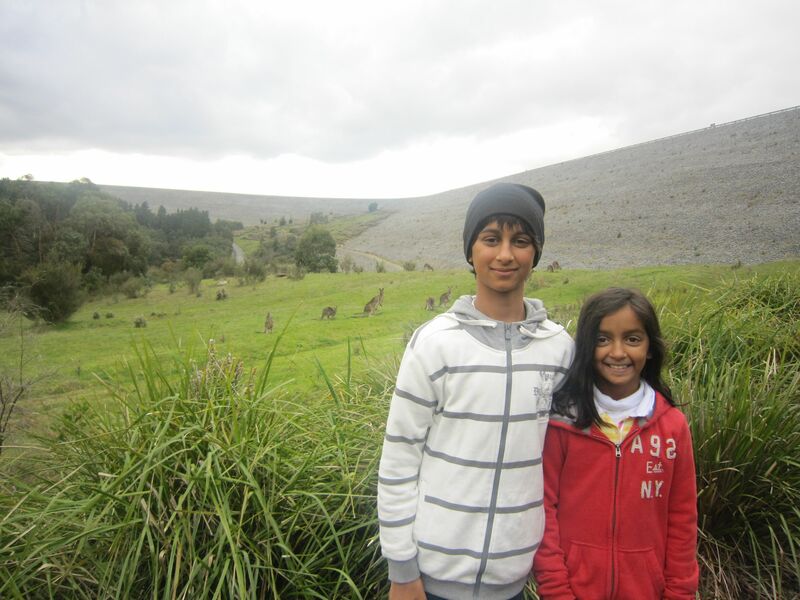 Anyway, after spending a couple of hours buying some basic necessities, we went to Cardenia to check out the kangaroos and were not disappointed. Our plans for Philipps Island had to be postponed due to all the coats being in my bag. 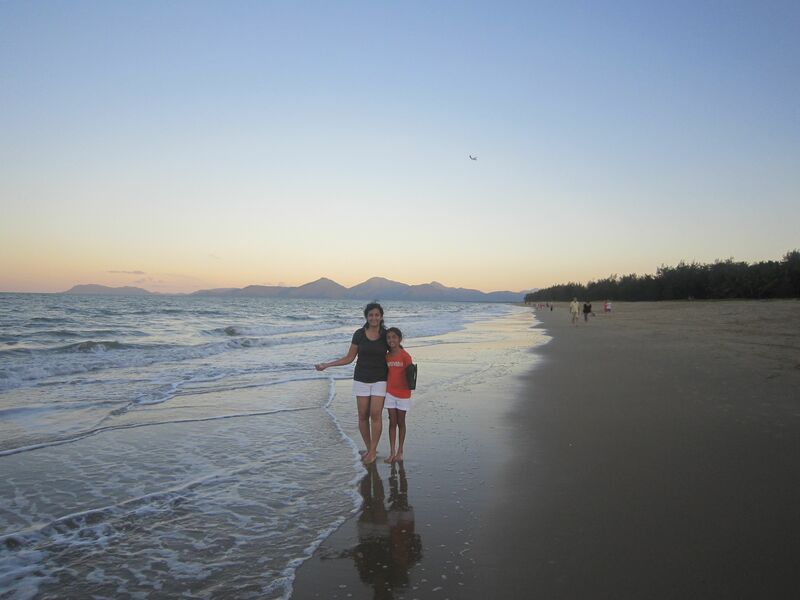 The next day, we caught a Virgin Blue flight to Cairns and checked into our apartment on the beach. 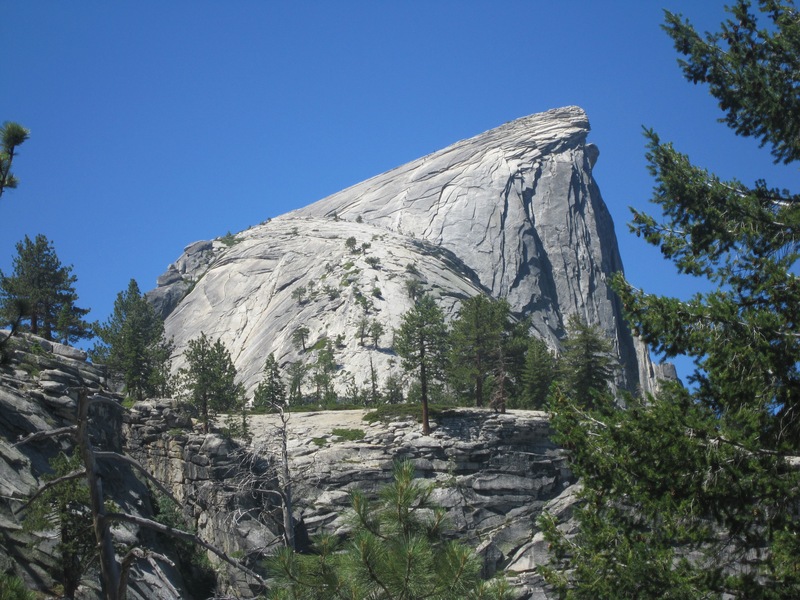 The weather in Yorkey’s Knob was at least 40 degrees warmer 80-90+ the whole time. 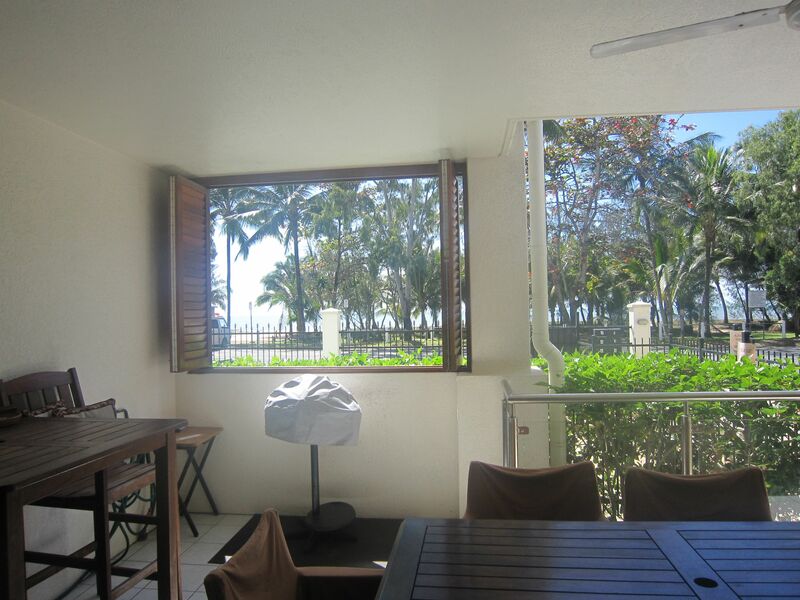 Here is the view from our place – about 200M from the beach. The water was warm – in the low 70’s. 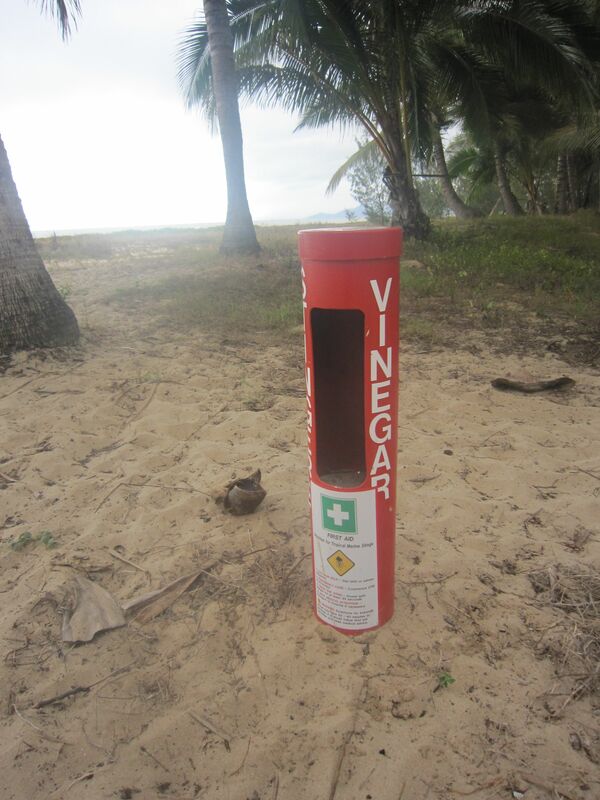 During the summer months, the jelly fish are a problem and they have a first aid kit at the ready. Who knew! 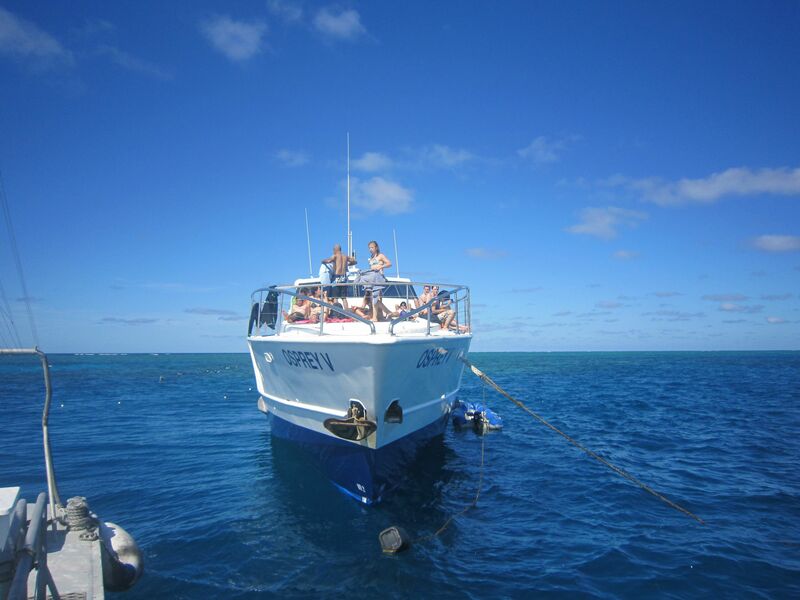 The next day, we took a boat to the Reef. I’ll continue on the next post. We just got back from our trip down under. 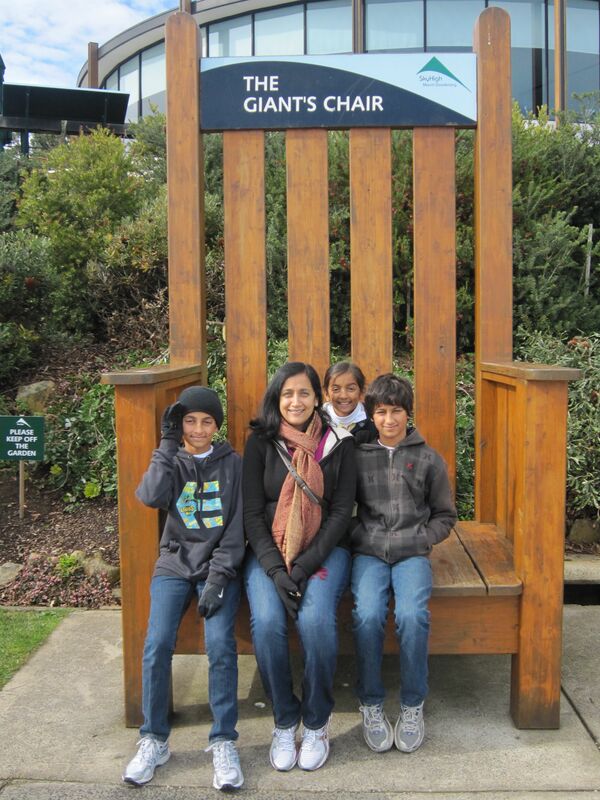 Anjali and the kids went out a week early and stayed at Madhura’s house. Here are some pictures from Melbourne. 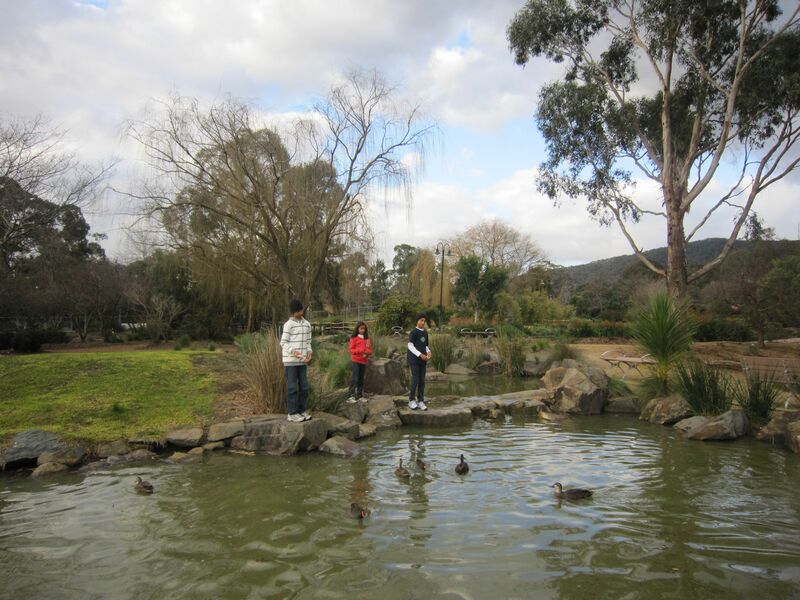 This first one is a park within walking distance from Madhura’s house. 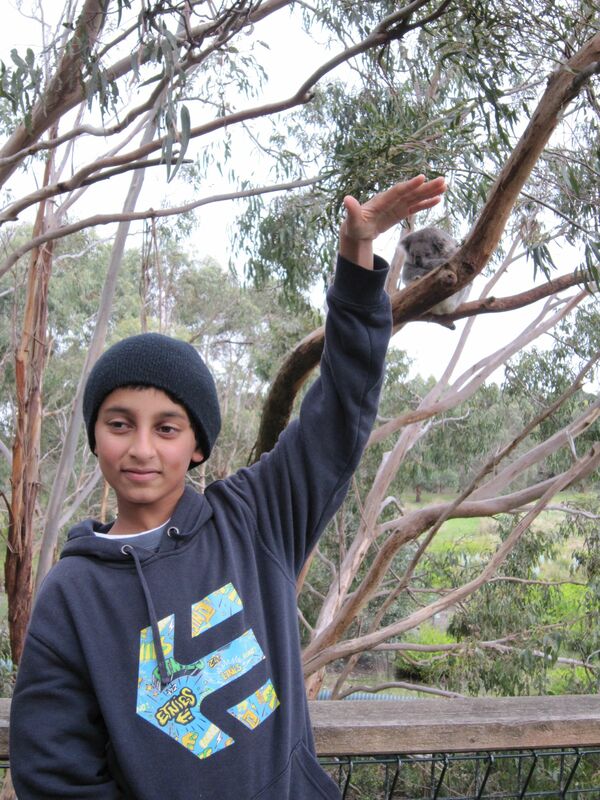 This is a picture from Mount Dandenong. 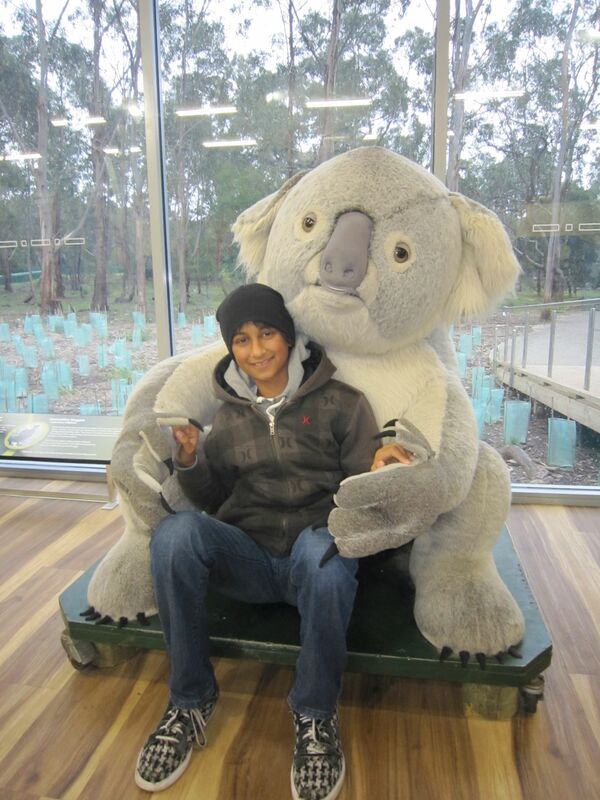 Here is a picture with Keya. 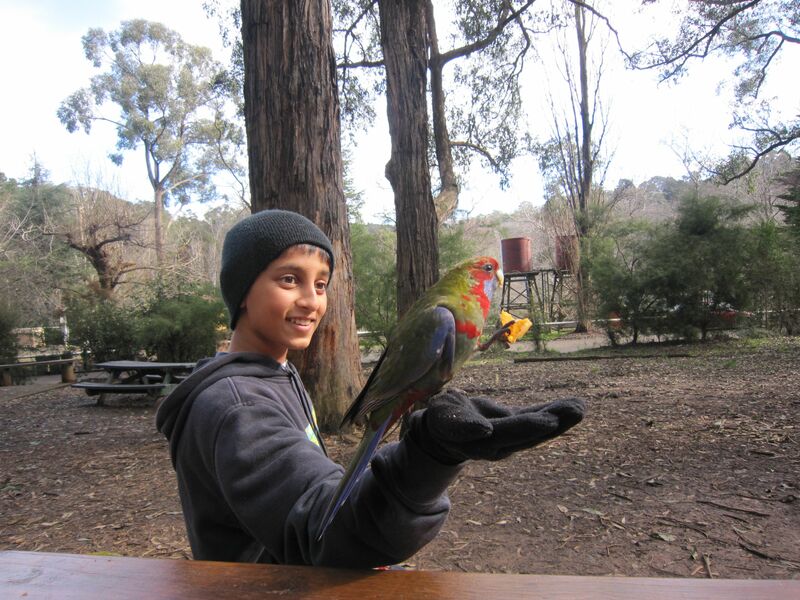 Here is one of a parakeet eating spicy potato chips from Nikhil’s hand! 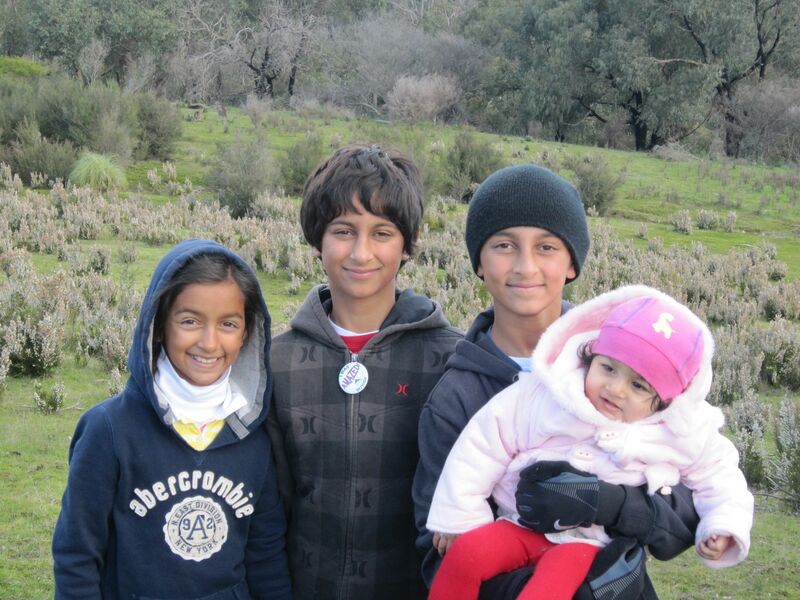 Here is one in Cardenia with some kangaroos behind the gang. 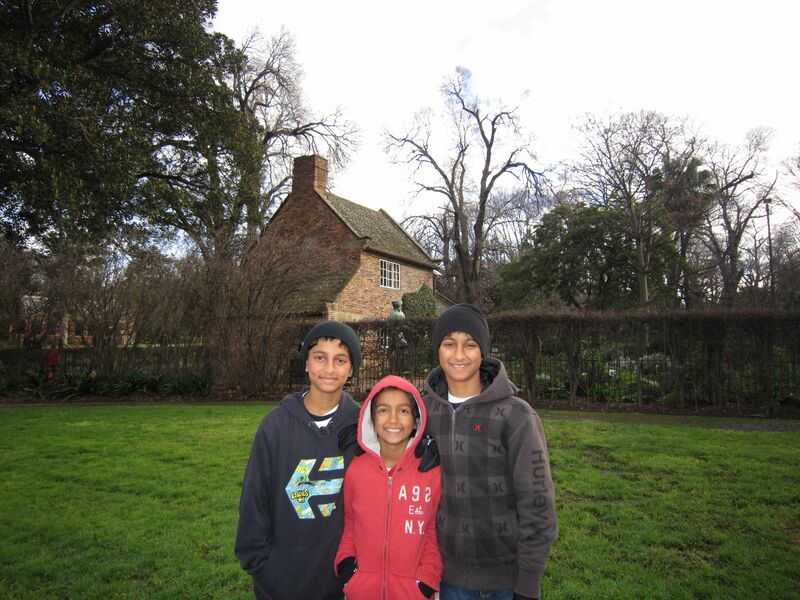 The kids in front of the James Cook historic cottage. 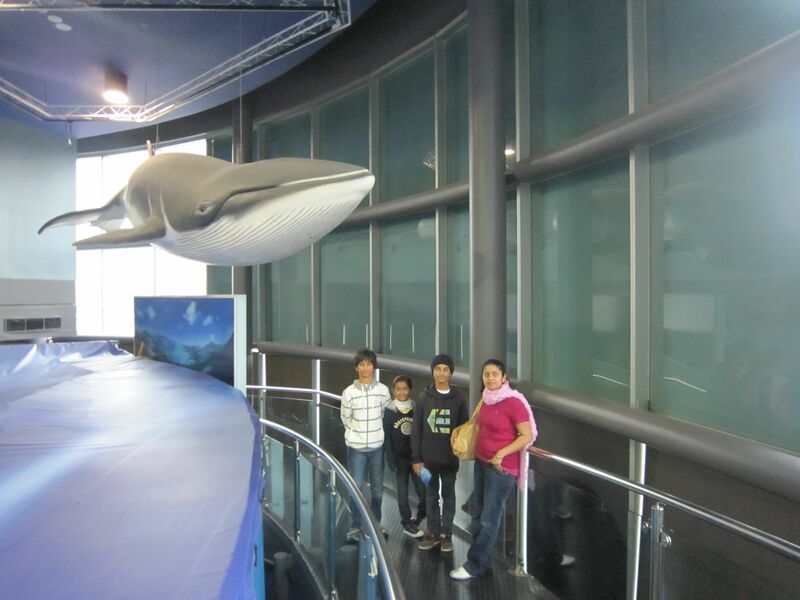 Here is one at the Melbourne Aquarium. I’ll continue on another post.